Why is it there’s a Prayer Invocation delivered by clergy at every presidential inauguration? In a secular society, where it’s best not to mingle religion and politics, invocations do nothing but cause controversy and disharmony. Who should give the prayer? What should they say? Should any and all religions be invited to give an invocation? And for what purpose? Perhaps I’m overly sensitive to public prayer ceremonies because they stand contrary to my anti-theistic views. I think if one MUST pray, do so in private. Indeed, it is even a matter of scripture that should be honored. Jesus was not a fan of public displays of prayer, as it is written in Matthew, 6:6 – But thou, when thou prayest, enter into thy closet, and when thou hast shut thy door, pray to thy Father which is in secret; and thy Father which seeth in secret shall reward thee openly. So if we are indeed a Judeo-Christian Nation, why are we publicly mocking Jesus’ teachings by blatantly engaging in very public displays of prayer? Saddleback Church Pastor Rick Warren delivered the invocation at the very same inauguration of President Obama where Chief Justice Roberts botched the oath of office delivery. 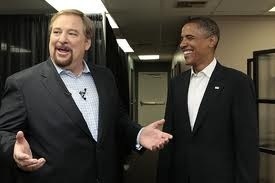 However, after Rick Warren’s comments blaming the Aurora massacre on the teaching of evolution, I’d say he was the worst mistake of President Obama’s big day in 2009. In addition to Warren, we have this delectable creature, Reverend Newcombe. Jerry Newcombe, Evangelical Leader, Says Only Christian Victims Of Colorado Shooting Going To Heaven. He uttered this completely made up nonsense:“If a Christian dies early, if a Christian dies young, it seems tragic, but really it is not tragic because they are going to a wonderful place.. on the other hand, if a person doesn’t know Jesus Christ.. if they knowingly rejected Jesus Christ, then, basically, they are going to a terrible place.” How compassionate you are, Jerry. If someone believes differently than you, they are condemned to eternal suffering, no matter how innocent they are? Nice god you worship! Preachers like these two monsters ought to stay quiet if they feel the need to offend victims and their families. These “preachers” are completely disgraceful! Our own GOP candidate, Willard Romney offered his condolences by reading straight from some sort of Bible. Perhaps it was the Book of Mormon? Who knows? All I could tell you was he sounded like a religious leader and NOT a presidential candidate of the United States, where we have freedom of and from religion! Prayer itself is not harmful per se, but using it to supplant science and medicine can be fatal. There was a case in 2009 in Wisconsin where a couple prayed for their undiagnosed diabetic daughter instead of taking her to a much needed hospital. 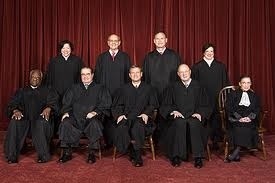 The case will now be heard by the Supreme Court of the United States. I hope they are not let off as easy at the federal level as they were in Wisconsin. Then there’s another sick story out of Texas where a three day-old infant was also prayed over when it fell ill. The infant was dead for fifteen hours before authorities were called. The family members were “church elders” which means they were, I guess, more connected to god? The massive increases of whooping cough and other previously eradicated diseases has spiked in the last few years because parents cite religious reasons for not vaccinating children, which endangers ALL PEOPLE. There’s got to be a point where we treat prayer and private religious beliefs as private and completely leave them out of public politics and society. When there’s any kind of proof, scientific proof, prayer actually does any good, then we can bring it back on a limited basis. Since that’s not going to happen anytime soon, I say, leave your gods and prayers out of my government! They’re doing anything but helping. You raised a lot of great points, starting with quotes from their own guy -Jesus who frown upon such public displays of religious pomp. Ironic how christian’s don’t take the few ( very few ) sensible things that this pseudo-historical Jesus seriously, like not throwing invocations around like a “hot potato” or not giving all their money away in order to get into heaven. . . Instead, people will take the descriptions of hell and reserve it as a scare tactic or leverage to pander with when a crisis surfaces when people are psychologically vulnerable. If only this b.s stopped with “scare tactics” – but it doesn’t. We have to worry about faith-based healing and how this physical danger is caused by idiotic negligence, that has the ability to spread like the disease that it has become. I have never read an anti prayer post before. I think of prayer as being between a man and his maker. If prayer was used negatively (with holding medical care) then you are dumb. The verse you quote from the bible is about praying to bring attention to ones self. While anti-theists would not appreciate another kind of prayer. The kind of public prayer that seeks to give credit to God for blessings undeserved and points any listeners to the unconditional love of Jesus not to anything accomplished by the speaker of prayer. It is dishonest to lump all people of faith with the “Westboro Baptist” people whoever they are. The pastors quoted are allegedly “respectable” members of the clergy. I never mentioned the WBC. That’s why these callous comments were particularly abhorrent. When the science is in that prayer actually accomplishes ANYTHING, I’ll permit it as part of my obligation to be respectful. Until that time, I consider it an affront to progress, human intellect and basic civil rights. Vegas Jessie – you did great work. My fellow “Christian’s” are teling me how Obama is evil (because Fox said so) and that Obama is a liar and that they would rahter vote for Mickey Mouse – thus are voting for Romney. That I am doing the devil’s work – by pointing out the facts on Romney. Because Fox said so! There’s a simple way to handle those naysayers who hate U.S. for telling the truth. Ignorance contains the solution within. I think you make good points, but don’t agree with “if one MUST pray, do so in private”. I know you then followed it with the quote from the Bible about praying in private, but that’s just Christianity. I imagine most religions have no problem with public prayer, and think saying they should do so in private is the same as the “What do grown men do in the privacy of their own home is their business, but I don’t wanna see them out holding hands on the street” kind of argument. Freedom of expression is for all, as long as it’s not directly hateful (such as praying for people to die etc…). What I mean is, I think the state should be secular, and after that, to each their own. But you can’t deny someone the right to saying a few words. I can deny prayer being mandated by a group. That’s where I run into conflict. They can pray, just don’t make others do it. If you feel the need for others to see you praying, perhaps your motives are suspect? Just a thought. From what I have read and seen in person, even so-called voluntary prayer in group settings is a problem. It seems many Christians cannot resist the opportunity to persuade and recruit. I don’t “believe” either but it is a shame that the best tenets of religion are overshadowed by the bigotry and other ills it causes.